Mike Ilitch was a once-in-a-generation entrepreneur and champion for Detroit. He and his wife, Marian, invested their family savings in 1959 to open the first Little Caesars store in Garden City, Michigan, a suburb of Detroit. That single mom-and-pop pizza shop grew into the largest carryout pizza chain in the world, with restaurants in over 24 countries and territories across the globe. The success of the business was built upon the exceptional quality and value of the Little Caesars menu and Mike's marketing savvy and imaginative ideas in production. The growth of Little Caesars helped Mike and Marian create other leading brands in the food, sports and entertainment industries. The couple purchased the Detroit Red Wings in 1982. While the team was known as the Dead Wings at the time, Mike and Marian believed they were a sleeping giant and immediately took charge to turn the team around. By 1997, the Red Wings won their first Stanley Cup in 42 years, and they went on to win three more. Four Stanley Cup parades held along Woodward Avenue in Detroit attracted hundreds of thousands of people, many from the suburbs who had not been to downtown Detroit in decades. Detroit became known as Hockeytown and brought a sense of pride to the area's hockey fans and the community as a whole. Throughout Mike's life, he remained true to his hometown and was a zealous supporter of Detroit, working tirelessly to help it prosper and to bring pride to the city. In 1988, Mike and Marian purchased the neglected Fox Theatre and carefully restored it to its original 1928 splendor. One year later, they moved the Little Caesars world headquarters from the suburbs into the newly renovated Fox Office Center adjacent to the restored theatre. This was during a time when many businesses were fleeing the city. Restoration of the theatre and renovation of the office building brought new life to the area. Currently, the headquarters campus is being expanded with an addition of a new nine-story, 234,000 square foot building next door to the Fox Theatre. Mike displayed further commitment to the city he loved when he purchased the Detroit Tigers in 1992 and built a new state-of-the-art ballpark for the team. Remembering his early years as a minor league baseball player with the Tigers, he did everything in his power to make the fan experience at Comerica Park a memorable one. The new ballpark enabled Detroit to successfully host the MLB All-Star Game in 2005 and also helped promote Detroit as a tourist destination when the Detroit Tigers hosted the World Series in 2006. Mike also encouraged the Ford family to bring the Detroit Lions back to Detroit from the suburbs and build a new stadium right next door to the ballpark by relinquishing a portion of land to make way for the new stadium. The new football venue allowed Detroit to host the Super Bowl in 2006. Today - true to Mike and Marian's vision for a bustling downtown area - the Ilitch organization is transforming dozens of blocks of largely underutilized land in Detroit into a special area for everyone in the community to enjoy. The District Detroit includes office, retail and residential spaces, as well as the new Little Caesars Arena, home of the Detroit Red Wings and Detroit Pistons, and world-class entertainment, music and community events. Mike and Marian believed passionately in giving back to the community. As the parents of children who played hockey, the couple wanted to provide other children the opportunity to play the sport as well. So, they established the Little Caesars Amateur Hockey Program in 1968, and it has provided opportunities for tens of thousands of youngsters to play the great game of hockey over the years. Hundreds have gone on to play at colleges, universities and in the National Hockey League. Among his many contributions to others, he established the Little Caesars Love Kitchen in 1985. With two trucks on the road to serve those in need, these restaurants on wheels have served more than three million people. Additionally, inspired by the story of a veteran returning to civilian life, Mike founded the Little Caesars Veterans Program in 2006. He had read a newspaper story about an Army Sergeant who had tragically lost both his legs during combat in Iraq. As a veteran himself, Mike was impressed with the can-do attitude of this veteran. The Little Caesars Veterans Program that followed provides honorably discharged veterans with financial incentives and other support to help them open a Little Caesars franchise. Ilitch Charities and its affiliates, the Detroit Red Wings Foundation and the Detroit Tigers Foundation, have given $35 million in cash and in-kind contributions since 2005 to deserving organizations across the community. Additionally, Mike and Marian have personally gifted nearly $50 million to Detroit's Wayne State University - $8 million to the Department of Surgery and $40 million dedicated to establish the new Mike Ilitch School of Business, which will train and educate the next generation of the city's great entrepreneurs. Locally in Detroit, Mike has been honored for his efforts in the community with the Joe Louis Brown Bomber Jacket Award, the Distinguished Martin Luther King, Jr. Community Service Award, the Shining Light Regional Cooperation Award and the Edward H. McNamara Goodfellow of the Year Award. He was also given the key to the city. Mike Ilitch was a remarkable American success story. In 2012, he wrote, "Develop a love for all people; be humble; work hard. I guarantee you will be successful in life." He did just that and had a life well lived. 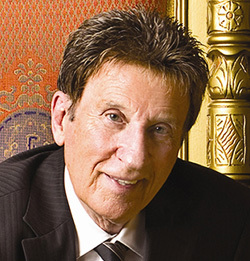 Founder and Chairwoman, Ilitch Holdings, Inc.
Marian Ilitch is a leading entrepreneur in the food, sports and entertainment industries. As a first-generation American, the daughter of Macedonian immigrants raised on grit and hard work, Marian has been recognized as one of the most successful businesswomen in the country. Marian started out in the food business as a young girl filling napkin containers and salt and pepper shakers in her father's restaurant. She graduated from Fordson High School in Dearborn, Michigan, and attended Dearborn Community College where she studied liberal arts and completed an accounting course. Marian's first paying job was at SS Kresge in Dearborn. Before marrying her husband and lifetime business partner, Mike Ilitch (1929-2017), Marian worked as a reservation clerk for Delta Airlines in Detroit - Mike's hometown. She was captured by the hustle and bustle of working downtown during Detroit's prime. Marian was a full-time mother until after her and Mike's third child was born. The couple then invested their family savings to open their own business - a single Little Caesars pizza shop in Garden City, Michigan. Working hand-in-hand, Marian and Mike grew Little Caesars into the world's largest carry-out pizza chain with restaurants in 50 U.S. states and over 20 international markets. Success in the pizza business enabled Marian to invest in other businesses in the food, sports and entertainment industries. Avid hockey fans, Marian and Mike turned the downtrodden Detroit Red Wings franchise into a hockey powerhouse after purchasing the team in 1982. Under their ownership, the Red Wings have won 19 divisional championships, six President's Trophies, six Campbell Bowls and four Stanley Cups. Channeling the love she developed for Detroit as a young professional, Marian became a pioneer in the redevelopment of downtown Detroit when she and Mike purchased the Fox theatre in 1987 at a time when most businesses were fleeing the city. They restored the neglected theatre to its original 1928 splendor and a year later moved their business headquarters to the adjacent office building. 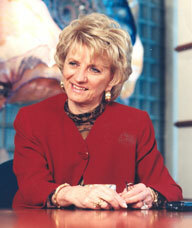 With a reputation as a dynamic force in the entertainment industry, Marian invested in Detroit's MotorCity Casino in 1999 when the Detroit market introduced three temporary casinos. In 2005, she became sole owner of the casino and soon embarked on a $300 million expansion and renovation project to add a luxury hotel, spa, conference center, several new restaurants, an 1,800-seat theatre and a permanent gaming area. The expanded MotorCity Casino Hotel was completed in 2008. Today, the Ilitch organization is transforming dozens of blocks of largely underutilized land in Detroit into a special area for everyone in the community to enjoy - much like the Detroit Marian and Mike experienced in their youth. The District Detroit includes office, retail and residential spaces, as well as the new Little Caesars Arena, home of the Detroit Red Wings and Detroit Pistons, and world-class entertainment, music and community events. Investing in the Community Giving back to the community is Marian's trademark, and together with Mike, they have donated millions of dollars to charitable organizations. As the parents of children who played hockey, the couple wanted to provide other children the opportunity to play the sport as well. They established the Little Caesars Amateur Hockey Program in 1968, and it has provided opportunities for tens of thousands of young people to play hockey. Their Little Caesars Love Kitchen program, two big-rig trucks on the road to serve pizza meals to those in need, has served more than three million people and has been recognized by three U.S. Presidents. Ilitch Charities and its affiliates, the Detroit Red Wings Foundation and the Detroit Tigers Foundation, have given tens of millions of dollars in cash and in-kind contributions to deserving organizations across the community. Ilitch Charities and its affiliates, the Detroit Red Wings Foundation and the Detroit Tigers Foundation, have given $35 million in cash and in-kind contributions since 2005 to deserving organizations across the community. Additionally, the couple personally gifted nearly $50 million to Detroit's Wayne State University - $8 million to the Department of Surgery and $40 million dedicated to establish the new Mike Ilitch School of Business, which will train and educate the next generation of the city's great entrepreneurs.